 The author of the paperback series Skye's West brings a small Montana mining town to life and tells the story of its citizens' pursuit of their dreams. 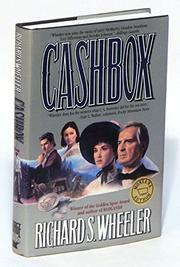 ``Cashbox. Where no till is empty,'' reads the sign that greets new arrivals in 1888. In just two years Cashbox has grown from nothing into a town of 800 souls. Sylvie Duvalier has left a loveless marriage for independence and her own business. Alighting in Cashbox from the same coach is Con Daley, the Silver Fox, a shrewd businessman who could transform a raw camp into a fair city. May Goode, a woman desperate to escape her past, comes to Cashbox from prison and is as afraid of love as she is of detection. These characters join in a town already populated by hard-working Cornish miners, mine owners, dishonest newspaperman Willard Croker, gambler One-Eyed Jack Wool, and an assortment of madams, prostitutes, and scoundrels--one of whom is a lawyer, J. Ernest Potter-Pride, who almost gets hanged for doing the bad guys' dirty work. Two years after Sylvie's arrival, the town is riding high. The passage of the Sherman Silver Purchase Bill lends stability to the local economy, and a railroad line is promised. Sylvie and Con have fallen in love, and May Goode agrees to marry the local constable. By 1893, however, gold interests win a battle that sends silver prices plummeting; the mine fails, and Cashbox becomes a ghost town. Only Sylvie Duvalier remains, refusing to abandon the town that once provided her with everything she needed for happiness. A vivid portrait of the life and death of a frontier town, but its citizens never become more than standard genre characters.